The performance evaluation or Staff Compensation Program for URA employees is now underway. Under the URA Agreement, all URA unit members as of January 1st, 2012 are eligible for evaluation and merit pay. The pay will be distributed in October of 2012 to all members who remain employed in URA titles. Here are some tips to make the process work for you. 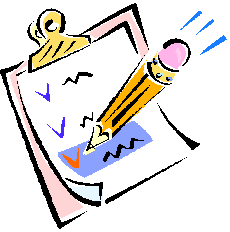 Do a self‐appraisal: The SCP process provides three opportunities to present your own assessment of your performance. First is the self‐appraisal, which should be done before you meet with your supervisor. The awkward March –to‐March time period does not match either the academic or fiscal year. Look back at your emails, files or calendar. Make your own list of accomplishments for the year. For example: Did you whittle down a backlog? Take on new tasks? Improve a process? Organize a successful event? Learn a new system? Pay attention to percentages: Workloads change, but the total percentages of key duties should still be 100%. So if one portion of your job grows, another needs to diminish. Supervisors sometimes criticize performance when the real problem is that tasks have grown more complex or time‐consuming. notification of your raise, you still have the chance to appeal the result; the third use for your self‐appraisal. Complete the evaluation form: If you have received a completed evaluation form, signed by your supervisor, you should sign it. You should only refuse to sign if you are given an incomplete form. Your signature shows that you have received and read the form, not that you agree.